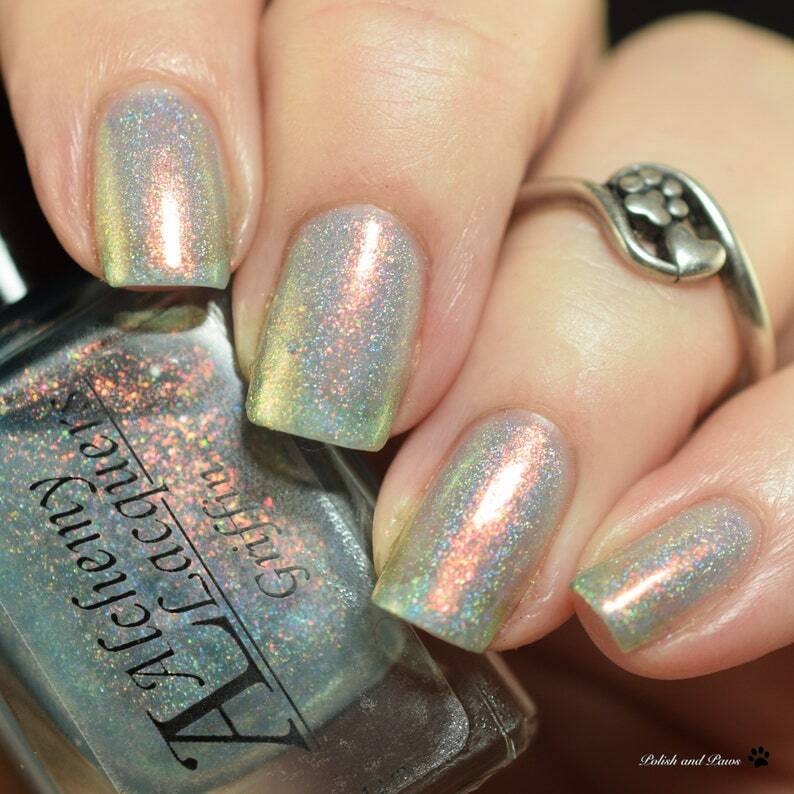 Griffin is a translucent turquoise jelly special effects nail lacquer that contains copper/orange/gold/green shimmer with a touch of a scattered holographic effect. This will not build to any level of opacity and is meant to be layered. This listing is for one bottle (12.0 ml / .41 fl oz) of Griffin. Swatches, courtesy of @polishandpaws, @nailpolishocd, @thepolishedmage and @gotnail, display 2 to 3 coats of Griffin and is part of the Creature Feature Collection. Please note that in certain swatches Griffin is shown layered over a base coat. The bottle shot reflects the actual color of nail lacquer. I used the beautiful Griffin as a topper over a Zoya blue, and it is stunning!! I was mesmerized. I love it and highly recommend it to everyone!